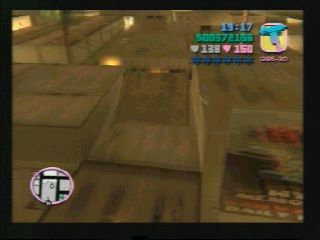 This jump is in between the stores and other buildings, and is accessible from the top. You'll need to go over a couple of other jumps to get to this jump and build up enough speed. You may find it best to use a bike here.